A power of attorney is a legal document that grants authority to another person to administer all or some of your affairs. The person who grants the power of attorney is known as the principal, and the person who takes over the authority is known as the agent. Each state has its own power of attorney laws that determine the effect of death, although many follow the legal rules set out in the Uniform Power of Attorney Act, a model law that aims to unify state laws. Section 111 of the Uniform Power of Attorney Act provides that the power of attorney terminates when the principal dies. This rule is followed in all states. In this situation, the agent no longer has authority to act on behalf of the principal, and the principal’s successors take over the management of his affairs. In some situations the agent may not know of the principal’s death and may continue to act under the power of attorney, for example, by paying bills or signing documents. If the agent does not know that the principal has died, the law generally allows him to continue acting as agent until he is notified of the death. 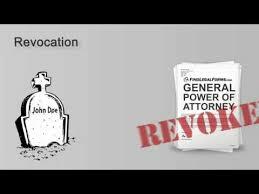 The death of the agent also terminates the power of attorney. If the agent dies, the principal must sign an additional power of attorney, giving authority to another agent to deal with his affairs. Section 111 of the Uniform Power of Attorney Act provides that the power of attorney ends when the agent dies, unless the document provides for either a co-agent or a successor agent. It’s good practice to include in a power of attorney the name of someone who can continue as agent if the original agent dies or becomes unable to carry out his duties. This can be done either by appointing two co-agents to act together or by appointing a successor agent if the original agent dies. A Crash Course Before You Crash – Avoiding Legal Blunders as a Member of the Board. Why You Need Title Insurance When Buying a Home.